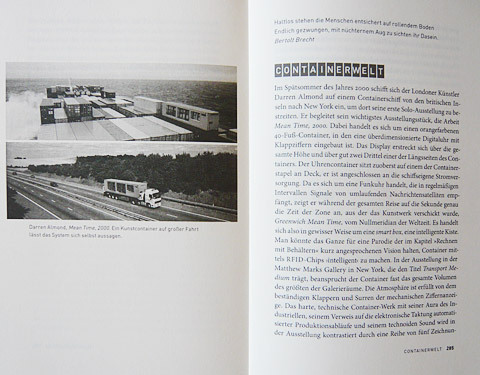 Meinhard Rauchensteiner notes tersely in the introduction to his slender volume with the beautiful title "Wie man einen Picasso zersägt", and which, or so the subtitle says, is a collection of "images of ruins from cultural history" which suggest that "all the things between heaven and earth are well worth a second glance". Now this does not leave the reader really all that wiser. What is remarkable about Master Rauchensteiner's miniatures is, however, not only that the author was born in Vienna, grew up in Vienna, studied in Vienna and still lives and works there, as the saying goes, but, quite naturally, earns his bread, butter and beer in a truly idiosyncratic, narcissistic and mannerist manner as (the organigram of the Austrian Presidential Chancellery provides proof) as adviser to the President for "science, culture and art". Wow, the Viennese! Now reading the book thoroughly would inevitably deal our intellectual metabolism a sweet overdose. And to avoid that and, in the run-up to the Frankfurt Book Fair and more or less as an act of self-defense, to elide from our (bad) conscience all traits of the books that have gone unread this last year or longer, it bears simply classifying all those books as a matter of definitive failure. Leaving you to hope that if the occasion is right you will be able to return to the one or other of them with a little more time. Well then, onwards and upwards, let us make space for the new, which, unfortunately, seldom promises to be better that what we already have before us. First up, there is a slender volume dating back to last year which I have often browsed through in amazement and admiration, without every having found the time to really read it. The exciting tome is called "Alexander Rodchenko - Design" and was written by John Milner, a tutor, painter, writer, curator and Visiting Professor at the Courtauld Institute in London, and who is a specialist in French and Russian art of the 19th and 20th centuries. 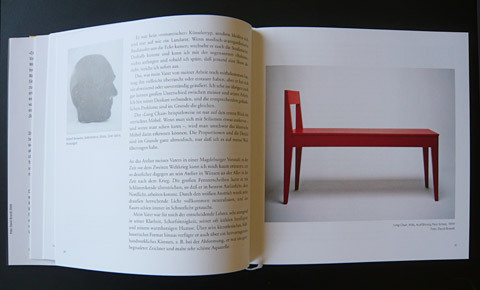 The book offers an intelligent text and countless color illustrations that cover the broad reach of the oeuvre of an artist (and this is all too often forgotten) who not only painted and photographed, but also designed furniture and textiles, worked for theater, film and as an exhibition designer, creating tableware, books, posters, bookmarks and propaganda material. Well, following the life of this Constructivist and activist, you might be forgiven thinking just how many marvelously different sides there were to the New Man of the 1920s, just how comprehensively aesthetic the revolution cold have been. Tempi passati. You sober up pretty quickly, though, even if reading on the road. 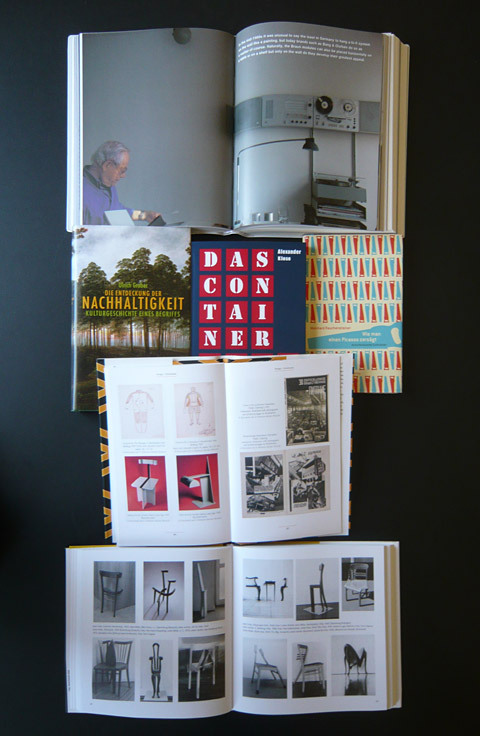 For example, Alexander Klose, putting it ‘trenchantly" suggests in on page 313 of his in-depth study of the "Das Container-Prinzip" (the container principle) in the section on the "container revolution": "The serial animation of things in industrial assembly goes historically and systematically precedes the serial killing of creatures in industrial food processing. From this viewpoint, containerization is the consistent advance of a key strand of mechanization." The serial, well, it arises in the slaughterhouse. And no doubt that is a truth none of us really wanted to know. It is just as worth while returning to Klose's book and his hypotheses as it is to Ulrich Grober's attempt to expose the archaeological strata of what is now a truly omnipresent term, namely "sustainability". A precise study of its origins has been called for ever since every ad brochure believes it must jazz itself up as sustainable. And Grober's "Kulturgeschichte eines Begriffs" (cultural history of a concept) does indeed enable us to turn our backs on the world of advertising and its instrumentalized concepts, and from a distance gain an appropriate yardstick and to "measure out" the often so nebulous "semantic field of sustainability for ourselves anew" - going back as far as the astronautical perspective of the Earth that Nikolaus von Kues (Cusanus) imagined as long ago as 1440 or the beginning of the "epoch of Earth politics" in 1968. 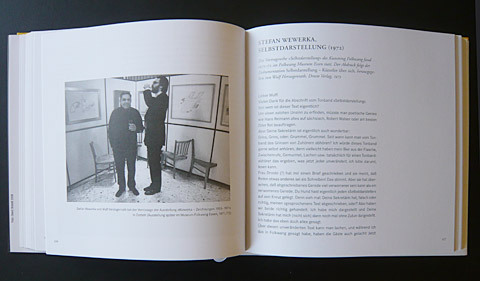 Following so much seriousness, anyone thirsting for a quite different stance would be well advised to cast a glance at the volume on "Stefan Wewerka" edited by Wulf Herzogenrath and Alexander Wewerka. In the case of Wewerka, whom Bazon Brock once termed the "Grand Master of Anti-Fundamentalism", all activities somehow relating to art, design and architecture end up leaving things somehow out of kilter. This artists knows of no division between the free and the applied arts, something that to this day is still not a matter of course. The informative volume is based on biographical interviews that Alexander Wewerka conducted in the early 1990s with his father. They have been supplemented by original texts by Stefan Wewerka as well as countless illustrations and a DVD, featuring the 1987 documentary shot by Lothar Spee, an interview with Wewerka made in 2009 and four short films. 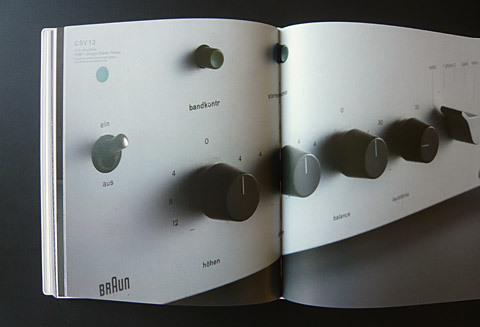 Those of you who definitely do not want things out of balance, and who missed the corresponding exhibition in Osaka, Tokyo, London and Frankfurt and would nevertheless like to calmly gaze at Dieter Rams' stringent and likewise practical/functional designs, should simply buy the relevant catalog: "Less and More". It offers many an insight into Rams' "Design Ethic". 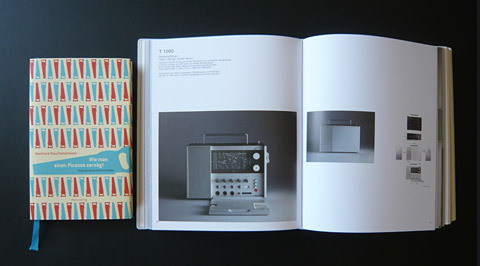 The book not only brings together all of the icons of "Braun Design" in the form of wonderfully sober photographs (from the 1949 Piccolo 50 or the 1955 SK 2 through to the T3 pocket transistor radio and the legendary designs for the T 1000 world receiver or furniture for Vitsoe. Well worth a read are also the countless essays on all aspects of Braun design, not to mention Rams' "Tokyo Manifesto", which claims among other things: "The precarious ecological and climate conditions call for a new attitude towards things. We should think very carefully what we wish to produce. Less is only ever more if it is also better than the more." However you might wish to define sustainable production today, it would be hard to ignore Rams' credo in the process. Unfortunately, today we will again fail to find an answer to the question Rauchensteiner mentions: Can Sacher cake be fatal? Suffice to say that we concur with the author that the answer be left to one of his future publications or later generations. Because what counts in the realm of books, and it is so often shattered by short-lived excitement, is that after the book fair is simply before the next book fair, and the next set of books will soon be on their way to the shelves. Meinhard Rauchensteiner: Wie man einen Picasso zersägt, Kulturhistorische Schüttbilder, (Metroverlag, Vienna), EUR 16.90. 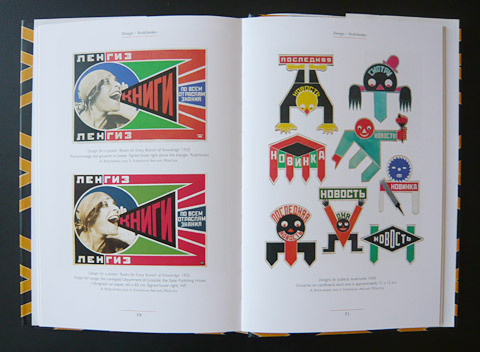 John Milner: Alexander Rodchenko, Design, (Antique Collectors' Club ACC London), EUR 15.99. 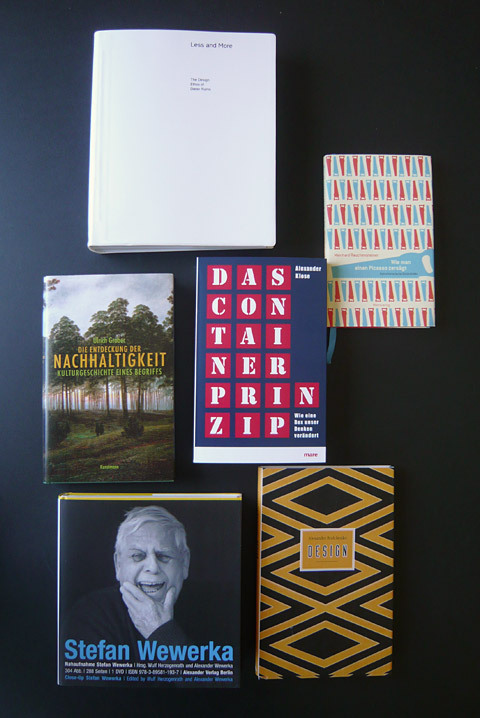 Alexander Klose: Das Container-Prinzip, Wie eine Box unser Denken verändert, (Mare Verlag, Hamburg), EUR 24. 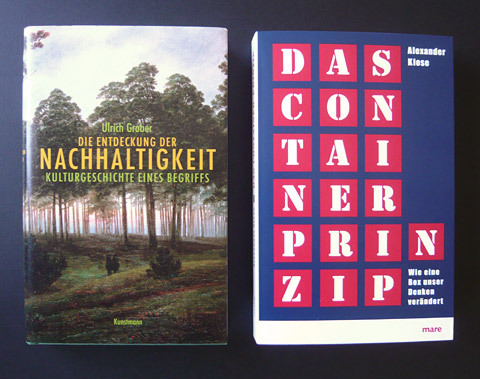 Ulrich Grober, Die Entdeckung der Nachhaltigkeit, Kulturgeschichte eines Begriffs, (Verlag Antje Kunstmann, Munich), EUR 19.90. Nahaufnahme Stefan Wewerka, edited by Wulf Herzogenrath and Alexander Wewerka, (Alexander Verlag, Berlin), EUR 34.90. 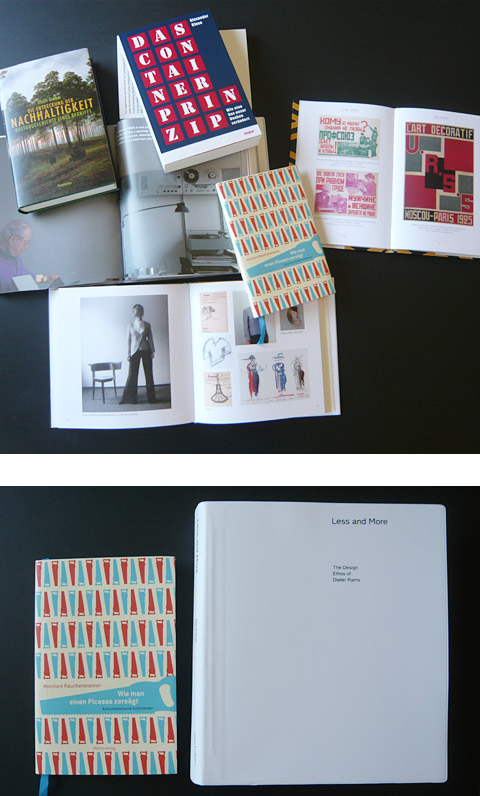 Less and More, The Design Ethos of Dieter Rams, edited by Keiko Ueki-Polet and Klaus Klemp, (Verlag Die Gestalten, Berlin), EUR 49.90. 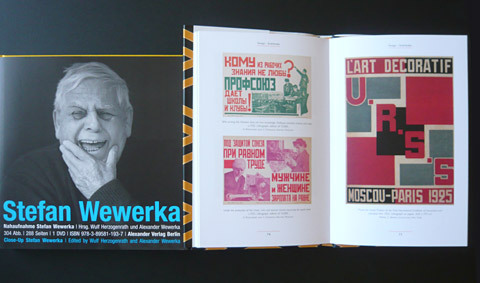 "Stefan Wewerka", "Alexander Rodchenko - Design"
"Wie man einen Picasso zersägt", "Less and More"